Mobile Detection tool gives you an easy-to-use script to call the user's mobile phone/tablet handset/brand on your landing page. It also gives you the option to retrieve the web browser used and the OS(operating system) that is running on the phone/tablet. 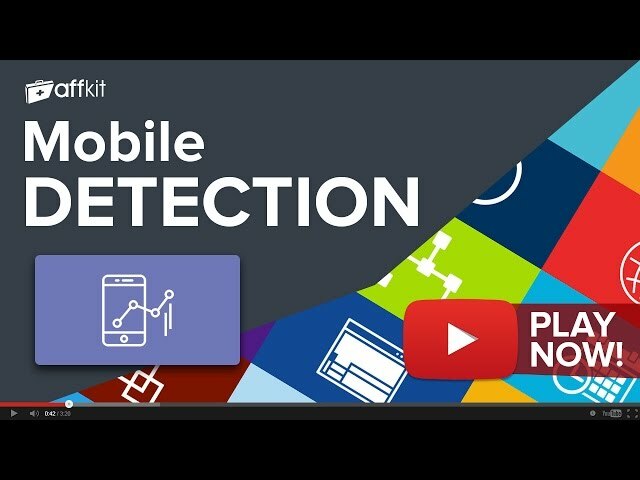 Mobile detection comes free with your AffKit membership. Sign up now to have full access to Mobile detection and another 20 must use tools. If you're already a member you can Log in now or Sign Up to get access.